The Google Adwords Keyword Tool is dead. Long live the Google Keyword Planner. 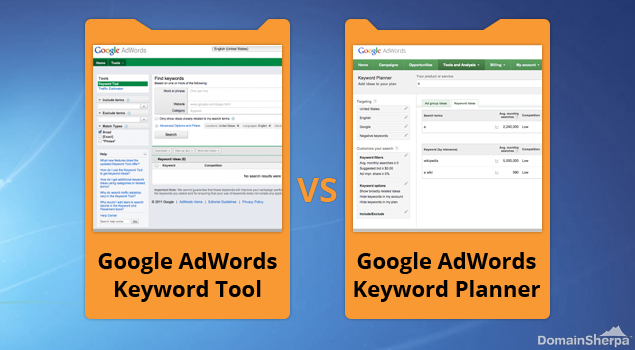 As of August 28, 2013, the new Google Keyword Planner replaces the Google Adwords Keyword Tool. It’s supposed to be an improvement, but most people don’t like change. This DomainSherpa tutorial walks you through the new Google Keyword Planner, shows you how to find most of the same information as the Google Adwords Keyword Tool provided, and what the differences are between the two. This tutorial also shows you how to use the Google Keyword Planner tool for SEO and domain name purposes. The Google Adwords Keyword Tool is dead. Long live the Google Keyword Planner. This DomainSherpa tutorial walks you through the new Google Keyword Planner, shows you how to find most of the same information as the Google Adwords Keyword Tool provided, and what the differences are between the two. This tutorial also shows you how to use the Google Keyword Planner tool for SEO and domain name purposes. 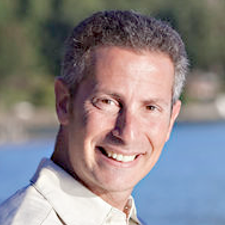 Michael Cyger: Hi everyone, I’m Michael Cyger, publisher of DomainSherpa.com. Domain name investors and companies love exact match domain names — those are domains that exactly match the searched keyword phrase of a user. For example, if you search Google for the keyword phrase “rental cars,” then RentalCars.com would be the exact-match domain name. There’s a link just below this video to an article about Exact Match Domains (https://www.domainsherpa.com/exact-match-domains/) that describes why they are so valuable, and why companies like Amazon.com owns Diapers.com and Clothes.com, and Dell owns CloudComputing.com. The questions we’re going to answer on today’s show is this: how often is a keyword phrase like “rental cars” searched per month — and — is it worth buying the exact match domain in that case? If a word or phrase has a high search volume — meaning people often search for that word or phrase — and you can build a website that ranks at the top of search engines, then it could receive a lot of traffic and has the potential to make a lot of money. But if nobody ever searches for that word or phrase, then it could be a waste of time to buy the domain name and build a website. As a result, domain names that have a lot of search volume can command a higher sales price. And, if you’re looking at domain names that are dropping, in auction or for sale, you’ll want to know what the search volume is and approximately how much advertisers are paying to associate their pay-per-click ad in those search results. The first thing you’ll want to do is go to a search engine and type in Google Adwords Keyword Planner. Or, click on the URL below to go to adwords.google.com/keywordplanner. If you don’t have an AdWords advertising account on Google, it will prompt you to sign in or create an account. This is a free account sign up, and you’re under no obligation to enter a credit card for payment or buy any advertisements. Just follow the steps to complete the process. If you already have a Gmail email account or use Google Apps for your company, you can sign in with your email address and password. If you’re brought to any Adwords section besides the Keyword Planner section, just click “Tools and Analysis” and then “Keyword Planner”. You’ll want to click on the first option, “Search for keyword and ad group ideas”. Then you’ll want to type your word or phrase into the “Your product or service” box. Let’s say that rentalcar.com is in auction, but we’re not sure if it’s the best keyword phrase. Should it be rentalcar.com (singular) or rentalcars.com (plural)? Which is searched more often? And are there any advertisers paying to have their ads shown in this search result? So I’m going to enter both rental car and rental cars. You can enter then one per line, both on the same line separated by a comma. We’re not going to use “Your landing page” or “Your product category” as this allows us to target our advertisement differently, and we’re not using the Keyword Planner tool for this purpose. Under “Targeting” it defaults to United States for me, but if you’re signing in from another country it may default to your country. If you want to target another country, like if you live in Europe but want to sell a domain name to Americans, or you live in India to offer a product to residents of China, you can remove the United States and add other countries of interest. The “Customize your search” section is also for buying Adwords advertising campaigns, so you don’t need to be concerned with this section. When you press the “Get ideas” button at the bottom, the system will go to work. When the results display you’ll see a left-hand column that looks similar to the customization options on the previous screen. In the main column, there are two tabs: “Ad group ideas” and “Keyword ideas”. The “Ad group ideas” are mainly for getting more ideas about keyword phrases to associate with an Adwords campaign — remember, Google is thinking about how it can encourage you to advertise using more than just the keywords you enter, and that is why you get these Adwords suggestions. But we’re just looking for search statistics, so you’ll want to press the “Keyword ideas” tab”. When the screen reloads, the two phrases you typed in will be presented at the top of the list. In the case of rental car versus rental cars, we can see “average monthly searches” are 60,500 for the singular, rental car, and 368,000 for the plural, rental cars. This is the average number of times people have searched for this exact keyword phrase based on the targeting settings that you’ve selected. So, from a search volume standpoint only, the plural domain name, rentalcars.com appears to be more valuable. In the “Avg. monthly searches” column, you’ll also see an icon that looks like a graph. Hovering your mouse over this icon will expand the picture and show you the trend over the past 12 months, giving you insight into trends and seasonality. There are two more columns that you’ll want to pay attention to. The first is “Competition” and the second is “average CPC” or cost-per-click for advertisers who choose to run a campaign for this keyword phrase. In the case of rental car and rental cars, both are rated “high” for competition, meaning the number of advertisers that show on these keywords is much higher relative to all keywords across Google Adwords. The “average CPC” column shows $2.10 for rental car and $2.64 for rental cars. For each keyword phrase the average cost-per-click is calculated is across all ad positions. So if you want position 1, you’re likely to pay more than position 5 or 10, but it’s not a straight pay more and rank higher…Google uses an algorithm and if your advertisement has a low quality score, you may have to pay even more to have it rank higher. Now, if you wanted to remove the “United States” from targeting and add “India” for instance, you’ll click on “United States”, then remove, then in the “Enter a location to target” box you’ll type in India and select it. Then just click the main window and the page will refresh. Let me reset the targeting back to the United States. This is interesting because while you thought rental cars was the killer phrase at 368,000, you now discover that car rental has even higher search volume of 450,000. So, if you wanted to pick a generic name for your company or were looking for the industry-defining domain name for investment, you know can see that — at least according to the Google Keyword Planner — that car rental has more search volume and the highest average cost-per-click of any related keyword phrase. Another useful tool is the “Keyword filters” section. Let’s say that you’re looking for domain names that have a popular keyword phrase but not as popular as car rental. Maybe it’s been overlooked by investors so far. Just click on “keyword filters”, select monthly search volume less than 50,000, and high competition. Then click into the main area to refresh the results, and click on the “Avg. monthly searches” to order from high to low. Right at the top is a company brand — stay away from domain names that use other company’s trademarks as that will open you up to legal issues. The second one is “car rental coupons”, which is searched 33,100 times per month in the United States, and has an average cost-per-click of $2.01. And if I could go back in my time machine to 2000, I could be the first to register it. :) But perhaps you can buy CarRentalCoupons.com from the current registrant, whereas you’re likely never to be able to purchase CarRental.com for any reasonable amount. There’s one key difference between the old and new tool. In the old Google Adwords Keyword Tool we used to be able to set the search type to broad, exact match or phrase. In that tutorial (https://www.domainsherpa.com/google-adwords-keyword-tool/) I suggested to change the search type to exact match, but on the new Google Keyword Planner that option is not available. In the new Google Keyword Planner, you can only view the average monthly searches using an exact match. In the right hand column there is an option to change results to Exact, Broad or Phrase, but this does not apply to search results and historical data. This match type selection only affects your click and cost estimates. Estibot provides this information from across all search engines, so it makes sense that it has a higher monthly search volume than what the Google Keyword Planner provides. It’s always good to get as much data as you can before you invest. Once you have all the data you need, you can then use The Rosener Equation to value the keyword-rich domain name, or whatever next step you want to take. Although The Google Adwords Keyword Tool is dead, the new Google Keyword Planner still does everything we need for domain name and SEO research. Thanks for watching. We’ll see you next time. I use Google Adwords Keyword Tool,for find a good exact/match domain name. Easy to use and,now I own [exact/match 45,000 to 24,000,000 monthly-search. Thanks for this video, wish I had watched this before I bought all crappy domain names. However these domains are three words and not a one word generic. Do they still have some value? It doesn’t matter how many words a domain name is as long as it’s 1) what people are searching for, and 2) has advertisers interested in that phrase. For example, go to Google and type in “cord blood banking” and you’ll see advertisers like cordblood.com and cryo-cell.com advertising. According to the Google Keyword Planner, the worldwide search volume per month is 18,100, the advertiser interest is high, and the suggested cost per click is $61.37. Those are great statistics. I’d be surprised if you found two domains with 60,500 and 49,000 exact match searches per month, respectively, that have advertisers and weren’t already reserved. But I’ve been wrong many times before! Since you registered them already, may I ask what they are? Was there any advertising interest (do you see advertisers when you type the three words in the a Google search engine)? Your right, it has low competition and no advertisers. So i guess I got only the first criteria right and not the second. The domains were PaneerButterMasala.com -60,500 and lolServerStatus- 49,500. Would it still have a reasonable value? I don’t mind sharing, but only if I’m allowed to. Yes, you have to be careful of the advertiser information. Sometime Google tells you there’s advertisers, but I have no idea where they get the information from. But there are no advertisers paying $1.18 per click for an ad. I can’t even reason that it might be seasonal advertising, and it’s just not the season. So I’d say that those domains are not worth much, if anything. They are drop potential. .io is similar to .net, .org and any other TLD that’s not .com. Some fraction of users who would love the .com may want that TLD. Go look at .io sales in the past (http://dnpric.es/?q=.io), then compare them to the equivalent .com or an order of magnitude estimate of it’s value via Estibot.com. Remember, .io domains tend to only appeal to techie-types and startups. So if you get hamburger.io, you’re likely out of luck. sms.io, box.io, web.io, http://ftp.io, php.io, etc. are great .io domains that a startup would love to have. Check out flippa.com and look and what sold and what’s for sale. Look for the differences between the .io domains that sell for $5000 and the ones that sell for $400. Thanks, for your help. DomainSherpa has helped me a lot in learning about the industry and how it all works. Truly the best resource out there. I now understand how to use the new Google Adwords Keyword Planner much better. Michael, Thanks for the videos they are very helpful for me as I investigate to world of domaining. In some of your videos I hear domainers talk about registering names for $8. is there a specific registrar that charges $8? i’m looking to hand reg a few names and the prices i’m seeing are anywhere from 10-14, some offer cheaper first year reg. but then more expensive renewals. is there one good site I should be going to in order to reg all my names? When people refer to $8 domains, they’re usually paying $8 and change for .com registrations at the GoDaddy Domain Discount Club (DDC, yearly fee) or another registrar built for domain investors, like NameBright.com. Another great howto guide Michael. Great refresher even for those who know how to use it. Thanks, Samit. Glad you found benefit. I appreciate you commenting and letting me know. Thanks for the detailed explanation, this will certainly help us utilize the keyword planner better. A BIG THANK YOU, for your service to the community. Much needed tutorial, for those of us who may be waaay over educated yet intuitively challenged. Thanks Michael, very informative and handy. Most appreciated. You bet, Jeff. Thanks for letting me know. I’m in full agreement, AbdulBasit. It took me a while to do this tutorial as I was waiting for Google to reconsider and put the old tool back online! :) Oh well. Thanks for quick review of this tool. No interviews this week with other domainers? No interviews this week. But I just posted the Review that we did live at the TRAFFIC conference this week.